Are you spiritually intimidating your husband? Most women love words. We love to talk. We love to communicate. Thus, for most women, praying to God comes fairly easily. After all, prayer is communication. On the other hand, most men don’t enjoy talking as much as women, and many men find it challenging to express their deepest thoughts and feelings. As a result, when a husband hears his wife praying an articulate, expressive, lengthy prayer…he can end up feeling intimidated. The wife doesn’t mean to intimidate her husband spiritually, but she ends up doing just that! If this could be the case for your man, seriously consider shortening up your prayers and using simple words. Don’t get me wrong. I’m NOT saying your husband is stupid. I’m simply saying that women need to be careful that we’re not “showing off” our vocabulary as we pray! This reminds me of something Jesus said in Luke 20:47. He had harsh words for people who “for show make lengthy prayers”. So, let’s be super humble and pray concise, simple, heart-felt prayers. 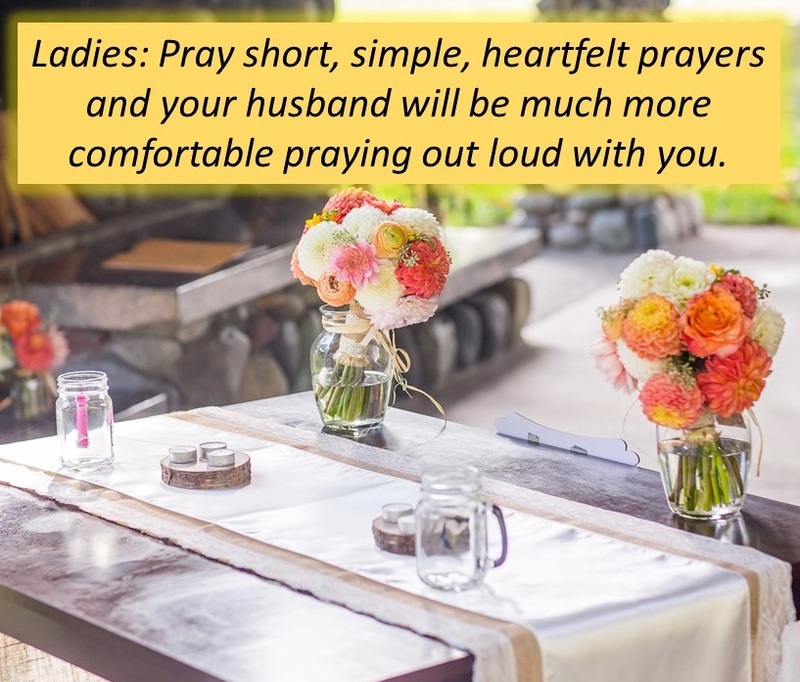 You may find that your man is more eager to pray with you in the future.